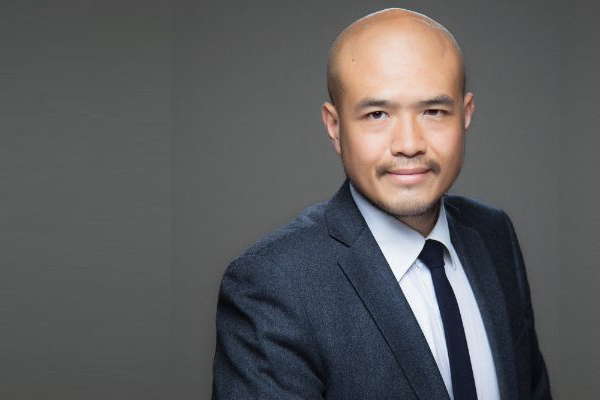 In anticipation of Chinese New Year as well as the first anniversary of the French football office’s opening in Beijing, we touched base with our guest lecturer Romuald Nguyen to understand how his experience has been and what progress he has made since moving from Paris a year ago. Q: What is your position at the joint FFF-LFP (French Football Federation – Professional Football League) office in Beijing? A: I am the Director of the French football office in China. This includes the territories of Hong Kong and Macau. Q: This office was opened in February 2017. What was your trajectory at the French Football Federation prior to moving to China? A: I’ve been working for the FFF approximately 9 years now. I started off as head of the refereeing unit for a period of 5 years, after which I spent 4 years as head of institutional and international affairs. Q: Why did the FFF open an office in China? A: There are many reasons that have led to this decision. First of all, football has become a national priority [in China] instilled by the highest level in the country. As is the case with Qatar, it’s a completely different situation because the desire to develop Chinese football comes straight from the Chinese President and not from the country’s football federation or professional league as we are used to seeing. Furthermore, China will increasingly become an influential player in the future of football. Finally, we’re talking about the world’s leading economic power and the most populous country in the world. There was therefore a context which opened up several opportunities for the French football industry. A: Yes. The FFF already has a presence on an international level but the project in China is truly a first in many aspects: it’s the first time a football federation opens an office in another country, and we opened it in conjunction with the LFP (Ligue du Football Professionel) with which we collaborate regularly in international matters. Q: Specifically, with what main objective did you swap Paris for China? A: In a very general way, my main mission is to install a single gateway facilitating exchanges between France and China, and vice versa. Q: And what does that consist of? Ensure the commercial development of French football, particularly through the search for new sponsors and new broadcasters, as well as the development of a sports tourism offer. Of course, I cannot do anything alone and I work closely with the relevant departments within the FFF and the LFP. Once again, football has become a national priority in China so everyone is talking about it. In addition, we should remember that the forerunner of contemporary football dates from the Han Dynasty and is called Tsu ‘Chu. They have been talking about it for a long time. That being said, it is true that we do not have the same culture of football. Mutual understanding is essential for developing sustainable collaborations. Q: Has China set a goal to achieve? A: Yes, and in a very overt way. China wants to organize a World Cup, then win one very quickly. For this, it must have a strong selection and structure its organization. French expertise is globally recognized, we have undeniable assets to help achieve these goals. A: Some decision makers know that we have this ability to train talented players and coaches by anticipating generational turnover. Nevertheless, China has the resources and the motivation to collaborate with several countries to learn the best lessons and they are right not to deprive themselves of this. Part of my job is to distinguish ourselves from these other countries based on the quality of our offer, keeping in mind that European Champions and World Champions will often be a priority in the negotiations. Q: What have you noticed by working with the various Chinese stakeholders? A: Great motivation! Whether it’s businesses, cities, clubs or schools, all are determined to make China a great football country. There is a real collective effort and it is very stimulating. I am regularly impressed by the speed of execution of Chinese projects. Q: Do you think that the FFF is one step ahead in its implantation in China? A: That’s a given. Some football clubs are already established in China and some football federations are active here, but I focus more on the offer that we formulate. As a federation, this offer is comprehensive and proven in the long term (recruitment, detection, training, etc.) and it is the type of skills that my counterparts seek. The opening of a permanent representation in Beijing is the way to monitor the speed of implementation of the Chinese project and it is moreover proof of a long-term commitment towards our counterparts. Q: Is there another way to develop football besides training and communication? A: Of course. For example, teams from the National Football Center recently signed an agreement with a Chinese travel agency to organize stays in Clairefontaine. A simple idea that makes it possible to promote the practice of football and to guarantee a complementary source of revenue for the FFF during the center’s downtime. Q: What do you like most about your missions in Beijing? A: One very interesting thing: working with all the FFF directorates. Even with 8.000 km between us, everything is going well and the colleagues from Paris whose input I require are very collaborative and caring. In particular, they do not hesitate to take into account the time difference, the differences of cultures and working methods by adjusting their habits, which is very appreciable. It is very important to feel that the Federation and its members are behind us to support and grow this new project.